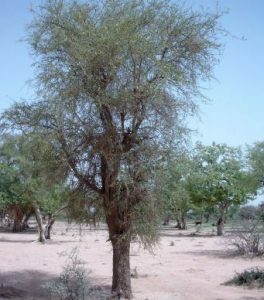 Balanites aegyptiaca is a multibranched, spiny shrub or tree up to l0 m high. Crown rounded, dense (but still seen through) with long stout branchlets. Trunk and bark grey, deeply fissured longitudinally.